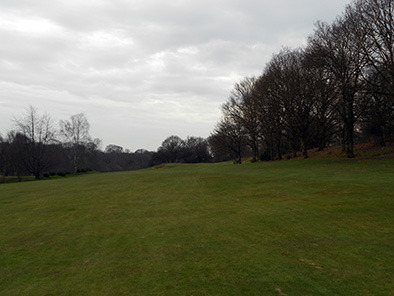 There are trees along the right of this hole and there is a large area of rough on the left. Occasionally, players lose a ball on this hole. If you think there is a chance your ball may be lost, you can opt to play a provisional ball from the tee (rule 27-2). Note; you must always inform the person marking your card you intend to play a provisional ball. Otherwise, the second ball you hit will be in play (rule 27-2a). reaching the spot where your search begins (rule 27-1). it is subsequently found within the five minute search period (rule 27.2a). 2019 Canterbury Golf Club. All rights reserved.